A person upholding ethics is a rare experience in the world today. Finding an individual investing time, money and expertise solely towards promoting social causes is an even rarer occurrence. Lynn de Souza has achieved all that a career woman could hope to gain in life and has now devoted herself to giving social causes momentum through her media company Social Access Communications. Lynn, who is originally from Goa, has had a successful career spanning 25 years as a media person. Her versatility covers business acumen, sports (she has been a tennis champion), veterinary nursing, and women’s empowerment. With an MBA in Marketing, Lynn has been employed by prestigious advertising firms such as Ogilvy, Grey and Lintas. After a four year term as chairperson and CEO of Lintas Media Group, Lynn quit in 2012 to set up Social Access Communications in 2013. Lynn is no stranger to humanitarian works and has been instrumental in setting up an animal hospital and shelter (Socrates Oliver Veterinary Hospital) on her ancestral land at Torda, Salvador-do-Mundo, Goa. This was done following her training in veterinary nursing in Australia in 1998, and after undergoing animal welfare training under Maneka Gandhi (animal rights activist and Union Cabinet Minister for Women and Child Development under the present Government of India since 2014). 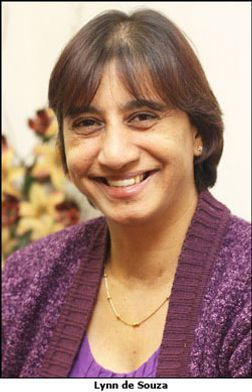 Along with her team at Lintas Media Group, Lynn became involved in considerable charity work under the banner of LMG Humanity. The staff were enabled to volunteer using paid leave. Soon after that she founded and chaired the Women’s Leadership Network for the Interpublic Group in India. ‘I found myself more and more drawn to the noncommercial aspects of communication. I felt that more people, especially the youth, need to be inspired to do more, and that storytelling and other forms of communication with no commercial intent was necessary for our country. My friend Meenakshi Menon reached out to me several times to join her on this quest and finally near the end of 2012 we set up Social Access Communications for this purpose. I was joined by Deepam Yogi, also a director in our not-for-profit firm, who worked closely with me for over a decade at LMG, and the three of us started out in June 2013,’ says Lynn. It was no cakewalk for the seasoned media person when building a non-profit organisation in a world that dictates success on the basis of profit. For the first two years Social Access Communications was funded almost entirely by Lynn. The third year, fortunately, saw the firm recover enough to pay overhead costs such as the negligible rent, and the fees paid to the firm’s consulting staff, who are big names in strategy, digital, filmmaking, events, art and copy. There is much demand for the firm’s services and to meet it there needs to be a significant increase in staff and office strength. Discussions have been ongoing with impact investors towards this end. Lynn’s contribution, however, continues without remuneration. 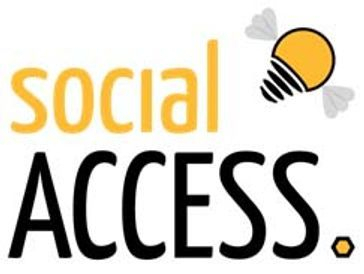 The team at Social Access is composed mainly of women for the simple reason that Lynn believes women, with their nurturing and collaborative traits, will be the saviours in this millennium. For this purpose, they need to be urged to don a heavier mantle of responsibility than before: it is not about surviving but thriving. The male of the human species has been responsible for monumental devastation and suppression of the weak, driven by territorial and egoistical desires. She says, ‘Do you know that the defence forces are the world’s largest employers and composed 98% of men? How great it would be if they were disbanded and participated more in nation building rather than national security.’ Lynn encourages women to join Social Access Communications while leaving the doors open to men as well. She acknowledges the collaborative and supportive attributes of men who are, nonetheless, essentially partners in progress. The Franciscan and environmentalist that Lynn is, has her bordering on obsession when it comes to animals and water. She lists as her favourite projects those having to do with safeguarding Earth’s waters. The ‘I Am For Water’ campaign which Social Access Communications has taken up, twice using sailors as ambassadors, is one of them. Lynn says, ‘Social Access will be stepping up the ‘I Am For Water’ campaign significantly during the latter half of 2017 and 2018 in a most surprising way!’ The other pet project is Social Access’ involvement with ‘Sagar Parikrama’, the non-stop solo circumnavigation undertaken by the Indian Navy, where the concept of ‘less is more’ was presented in the story of ocean conservation.